You have just found “The Top State-of-the-art Real Estate Website for Buyers and Sellers of Real Estate in the Greater Toronto Area.” Here you will find hundreds of pages of information about everything from Selling your home, Buying your home, Financing, Area Resource. Also you will find out everything about Toronto, Mississauga, Richmond Hill, Markham, Brampton, Oakville, Milton, Scarborough, and Caledon, Power of Sales. Thinking of Buying Your Toronto Mississauga Brampton GTA Home? *Should I buy before I sell my GTA home? * Daily New Real Estate Listing, see them before anyone! *Is GTA real estate a good investment? Thinking of Selling Your Toronto Mississauga Brampton GTA Home? *What did my Neighbour's Home sell for? * Should I sell my home now or wait? *What satisfied clients have said about Joey? 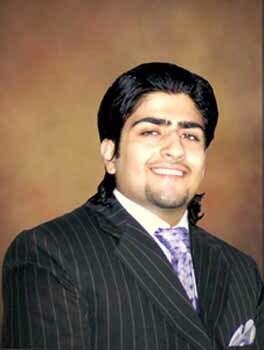 My name is Joey Khan, REALTOR® and I welcome you to my website. I am a registered sales representative with Century 21 servicing Toronto, Mississauga, Oakville, Brampton, Markham, Richmond Hill, and the rest of the GTA. By visiting this website, you will find information on all Greater Toronto Area Real Estate. Whether you are a Buyer, Seller, or someone looking for information -- you have an interest which makes you more than welcome here. My service is for EVERYONE! -Real Estate Council of Ontario (RECO). Because my success is built by your success, I will do everything I can to help you in all aspects of Toronto Mississauga Brampton GTA real estate, so you can make the best informed and educated decision for you and your family! TORONTO'S 24 HOUR REAL ESTATE AGENT! As a lifetime resident of Toronto - I am here to serve all your real estate needs with specializations in homes and downtown condo properties but am here to meet your type of real estate need. I have worked with many buyers and sellers and kept in touch with everyone. Although this is a business, I become very excited in building new relationships and treating everyone I deal with as family. I offer you honest, professional and dedicated work with proven achievements in the real estate industry. I can help you find the next RIGHT property. I am here to share complete access to all real estate listings in Toronto and the surrounding GTA area through the multiple listing database. We can accurately find all the homes or properties that meet the requirements you have and of course fall in your comfort zone of budget. Whether you're looking to buy and/or sell now or in the future, please never hesitate to contact me. I have worked with some people who contacted me over the web and sent e-mails back in forth for years before even buying anything. "Thanks for your hard work and getting me into a new home. It was like working with a friend. I appreciate your quick response to my questions and you exceeded my expectations. I will definitely refer my family and friends when looking for a home..."
Click here to find articles by the Ontario Real Estate Association (OREA). January 6, 2014 -- Greater Toronto Area REALTORS® reported 4,078 residential transactions through the TorontoMLS system in December 2013 – up by almost 14 per cent compared to 3,582 sales reported in December 2012. New listings entered into the TorontoMLS system were down by almost four per cent over the same period. Click here for more GTA News/Market Updates.